SAGE is the world’s 5th largest journal publisher, and the 4th largest in medical and biomedical disciplines. We are proud to publish a portfolio of quality journals across the spectrum of biomedicine, including: neuroscience, pharmacology, cell biology and immunology. We have a rapidly growing biomedical journal portfolio, with the fastest growing medical and health sciences program globally in the last 20 years. 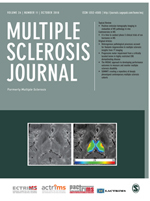 We publish the journals of many respected and prestigious societies from around the world, including the European Committee for Treatment and Research into Multiple Sclerosis, American Society for Neurochemistry, Society for Experimental Biology and Medicine, European Society of Cardiology, American College of Toxicology, and The Histochemical Society. We work with our partners to maximize the global dissemination of high impact research. Experimental Biology and Medicine is a journal dedicated to the publication of multidisciplinary and interdisciplinary research in the biomedical sciences. Published monthly, EBM provides both research and review articles as well as meeting symposia and brief communications. 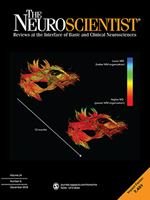 The Neuroscientist (NRO) reviews and evaluates the noteworthy advances and key trends in molecular, cellular, developmental, behavioral systems, and cognitive neuroscience in a unique disease-relevant format. Aimed at basic neuroscientists, neurologists, neurosurgeons, and psychiatrists in research, academic, and clinical settings, The Neuroscientist reviews and updates the most important new and emerging basic and clinical neuroscience research. Multiple Sclerosis Journal is a peer-reviewed international journal that focuses on all aspects of multiple sclerosis, neuromyelitis optica and other related autoimmune diseases of the central nervous system. Journal of Histochemistry & Cytochemistry (JHC) has been a pre-eminent cell biology journal for over 50 years. 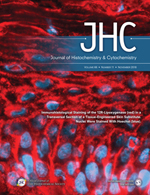 Published monthly, JHC offers primary research articles, timely reviews, editorials, and perspectives on the structure and function of cells, tissues, and organs, as well as mechanisms of development, differentiation, and disease.